“It’s as much fun to scare as to be scared.” – Vincent Price. This one’s so true. 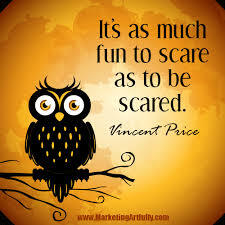 It is fun to scare and the excitement that comes with getting scared is just as fun to a certain point. 2. 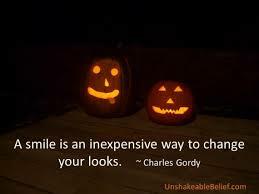 “A smile is an inexpensive way to change your looks.” – Charles Gordy. Smiling is the best. 🙂 3. 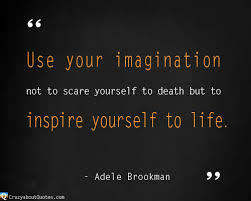 “Use your imagination not to scare yourself to death but to inspire yourself to life.” – Adele Brookman. I think this is a nice inspirational quote. Don’t be afraid to be the person you want to be. 4. “Every day is Halloween, isn’t it? 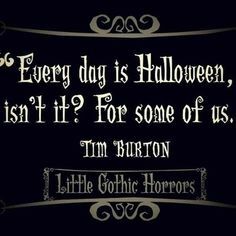 For some of us.” – Tim Burton. This one makes you think. Halloween is all about dressing up and pretending to be other things. 5. 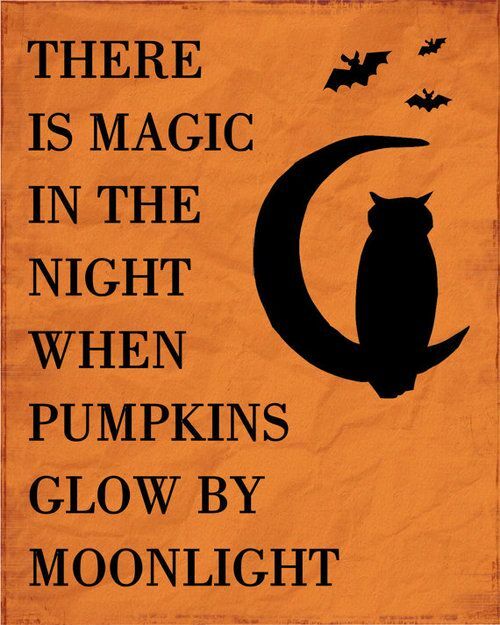 “There is magic in the night when pumpkins glow by moonlight.” – Unknown. Halloween can be a magical night. If you haven’t checked out my giveaway for a bottle of Mighty Nut Powdered Peanut Butter, you can go HERE. Today’s the last day to enter!! I love your quotes though! Great quotes. I’m not big on Halloween. But it’s always fun to see kids in costumes. There are some pretty creative ones. 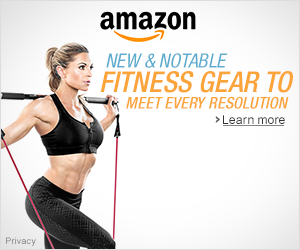 I love how you changed your site heading for Halloween! Very festive! I especially love number three! Number one is fun too, I’m super excited to be dressing up as something scary for the first time this year! I love seeing people’s creativity when they make their own costumes and just really go out! Plus, the candy mmmm! But trying not to get too into that part of the holiday 😀 Thanks for sharing these quotes! What a fun Halloween themed blog post! Thanks! It’s always cool seeing the home made costumes! Have a happy Halloween! Fall decor is great! Hope you have a great weekend! Cool quotes. Have a great weekend! I like dressing up for work and making the kids smile! That’s cool you dress up at work! Happy Halloween! I love that last quote! I always felt the magic in the air when we walked around with our kids for trick or treating on Halloween night. I miss that! Thanks! Hope you have a great weekend! Nice quotes! Love Halloween for the kids! It’s fun to see all the costumes! Thanks Sharon! Love seeing all the costumes too!